With both precision and care, Atillia Leoni ties a silk pink bow on each gift the girl purchased. She smiles with every loop, swoop, and pull and sends her on her way with beautifully packaged artisanal soaps for her family back home. Going above and beyond for a customer is what business in Cagli, Italy, is all about. Atillia knows the ins and outs of running a successful business in Cagli. As a little girl, Atillia watched her parents own and operate the local beauty supply store that brought fine perfumes to locals. She knew that one day the perfumerie would be passed down for her to manage, so she paid close attention to how her parents ran their business. After attending school to study accounting in New Cagli, the 21- year-old Atillia took over the daily operations of her family’s business. 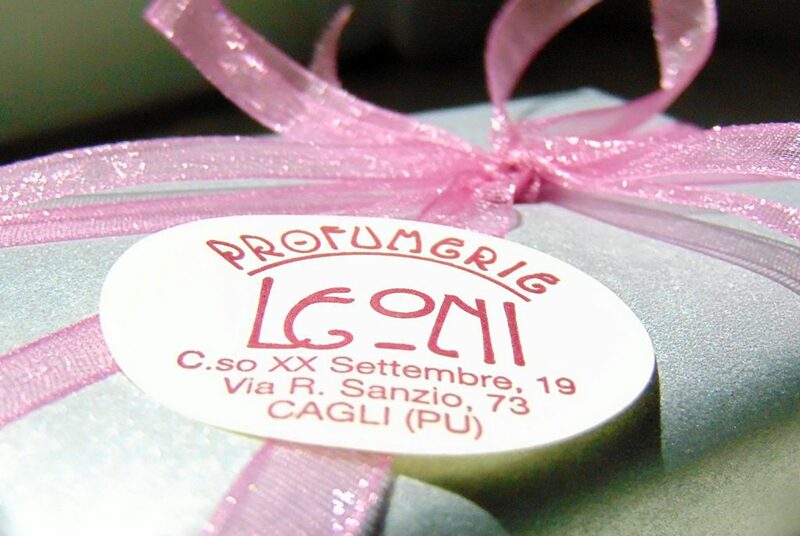 Since 1967, Profumerie Leoni has been a place for the people of Cagli to purchase items that help them feel beautiful. 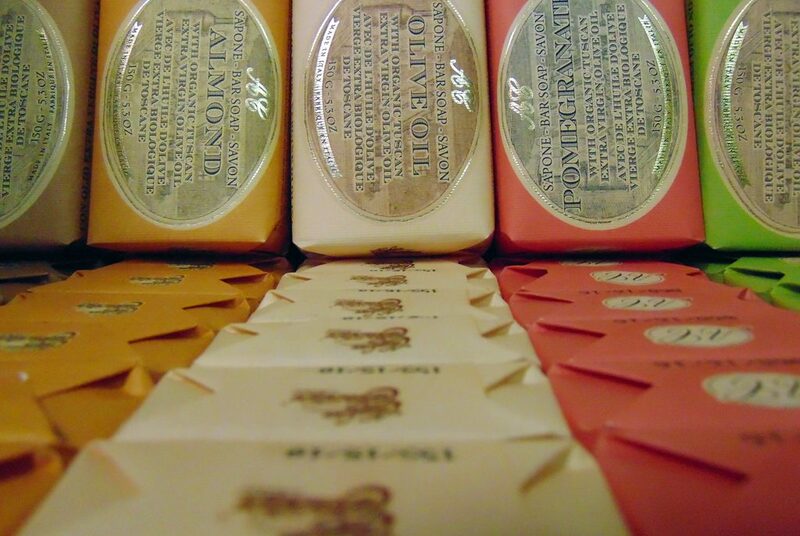 The shop has expanded to include a variety of products from soaps to accessories. Over the last 30 years, Atillia and her brother have managed their two locations in Old and New Cagli. While her brother’s role is that of a traveling salesman, Atillia manages daily operations at their shop in Old Cagli, just around the corner from the piazza. Atillia greets with a smile every customer who enters her shop. 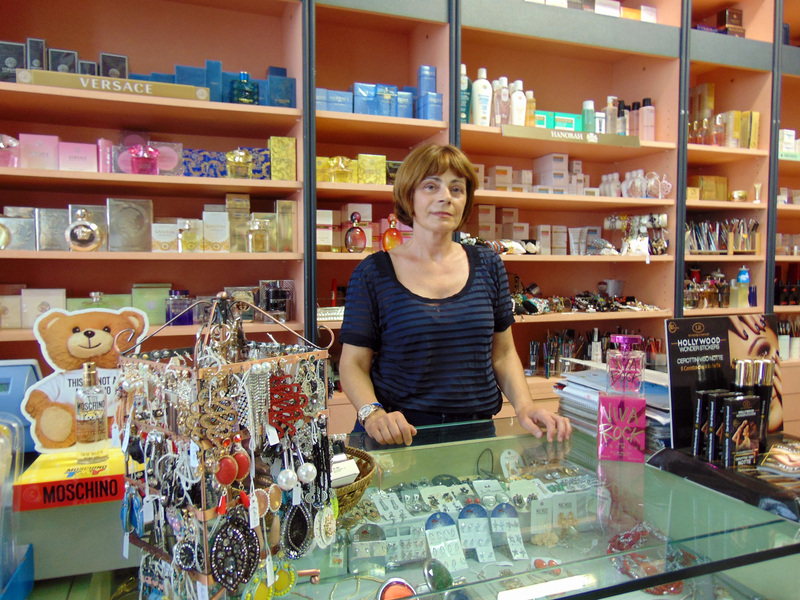 She takes obvious pride in her work and is knowledgeable about every product in her shop. As the owner and operator of the profumeria in Old Cagli, Atillia wears many hats. She strides around the shop stocking shelves, ordering products, providing customer service, and managing the shops’ accounts. Each day, Atillia carries herself with both strength and grace, a confidence she says was passed down from her mother. Atillia’s upright posture and curvaceous figure beams assertion, poise, and beauty. The soft lines on her face and almond-brown eyes tell the story of a business woman raised by the town of Cagli. Old Cagli is where she was born and where she raised her children. The shop was passed down to her, and it will be passed down to her son and daughter when they are ready to take over. While she admits that on occasion her job can be tiresome, she loves it. “My favorite part of running a business in Cagli is the connection I get to have with my customers on a daily basis,” she says. Over the last decade, Atillia has witnessed great shifts in the city of Cagli. “Business grows slower as the population grows older,” she says. With the rise of online shopping and social media, Atillia works tirelessly to keep up with the latest trends. The store now has an active website and Facebook page. She admits she could continue to manage the business solely from her ecommerce site; however, she won’t because the connections she makes with the townspeople are too meaningful to her. “I am optimistic for the future of this business,” says Atillia with a smile. She turns away and begins stocking shelves. 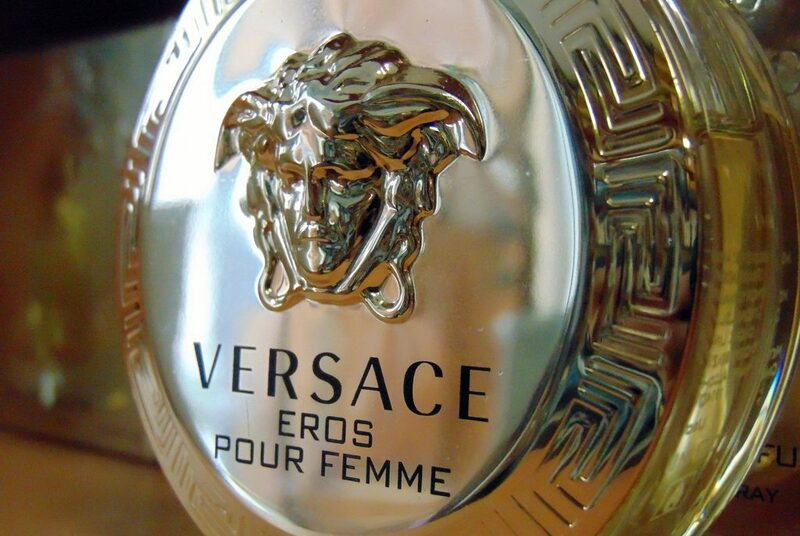 One by one she places the golden shampoo bottles on the display case, gently turning the labels out.